The so-called “gig economy” is here to stay. According to the Bureau of Labor Statistics, about 10.6 million workers cite contract work as their primary source of income. And nearly all of these workers are going to have to retire eventually. Furthermore, with the IRS planning to focus more on tax compliance for gig economy workers, many of these gig economy workers will soon be looking for some tax deductions to shelter some of that income that they are redirecting to retirement savings. For those gig economy workers, the Self-Directed Solo 401(k) is a potent option. The Self-Directed Solo 401(k) is a defined contribution small business retirement plan specifically designed for sole proprietorships and small businesses with just one employee – the owner, or the owner and his or her spouse. Normally, contributions to these Self-Directed Solo 401(k) plans are tax deferred, and the money within them grows tax-deferred, as well, until retirement. There is no current tax liability for dividend income, capital gains or rental income from real estate 401(k)s.
When the account owner/beneficiary takes money out, it’s counted as ordinary income tax. Withdrawals prior to age 59 ½ are subject to a 10 percent early withdrawal penalty, except for those leaving the work force who are age 55 or older. Expanded asset protection. The IRS can levy an IRA. But even the IRS cannot crack open a 401(k) account, which is technically not the beneficiary’s asset. These funds are held in trust for the beneficiary – an important distinction. Self-Directed Solo 401(k) plans can be designed to allow loans from the plan, which you can use any way you see fit. You just have to repay the loan, or it will be considered a distribution and subject to applicable taxes and penalties. 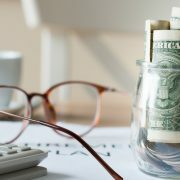 For those interested in self-directed retirement investing, which enables investors to leverage the tax advantages of retirement accounts in a wide variety of alternative asset classes, the Self-Directed Solo 401(k) is an ideal choice for these workers– especially for real estate fans. The Self-Directed Solo 401(k) is the only tax-advantaged account that can shelter investors from unrelated debt-financed income tax. This tax is generally applicable to IRAs in which the investor has employed leverage to buy assets. Income and gains are taxable in IRAs to the extent they are attributable to borrowed funds. But the 401(k) structure is different. This particular tax is not applicable. So, if you have a mortgage on some real estate within your 401(k), you can shelter the entirety of the income and capital gains from this tax, and allow all of it to continue to compound, tax deferred. The Self-Directed Solo 401(k) also supports a Roth option. This means your contributions are after tax – but all the subsequent growth is tax free, provided you leave the assets in place at least five years. Employer matching contributions are still treated on a tax-deferred basis, but all of your own employee contributions can compound tax free until retirement – and you can even pass them on to the next generation. Can you qualify for a Self-Directed Solo 401(k)? If you are a gig economy worker or small business owner, you qualify for a Self-Directed Solo 401(k) if you have income from that business, and if you have no full-time employees other than yourself and your spouse. Self-Directed Solo 401(k) plans potentially allow you to shelter up to $56,000 in income from current taxation. Self-employed individuals have to make a few extra calculations to account for the effect of Social Security taxes. See this IRS page for details. Of course, as your own employer, you can set your employer contribution level to whatever you want, and can afford, up to plan limits. Case Study: George and Loretta, a married couple in their late 60s, have a small company they run together in Raleigh. They have plenty of income from pensions and do not expect to need the income from their Self-Directed Solo 401(K) for a long time, if ever. They preferred to let the assets compound until they pass them on to their children and grandchildren. To avoid RMDs, they began rolling over chunks of their Solo 401(K) to an IRA and then converting to a Self-Directed Roth IRA several years ago. They may sell their company to a competitor in their town, or to an interested family member and remain as employees, in order to continue to defer distributions and avoid RMDs. Most of our Self-Directed IRA clients understand that they need to begin taking required minimum distributions (RMDs) from their Self-Directed IRAs and other tax-advantaged non-Roth retirement accounts by April 1 of the year after the year in which they turn age 70½ and take their next RMDs by December 31st of every year thereafter. But more Americans are working well into their retirement years, and often because they want to. Advances in medical technology, lifestyle and nutrition have us living much longer than prior generations, and fewer of us are working in physically punishing professions that our ancestors worked, like coal mining, farming and construction. If you have a qualified plan such as a 401(K) from your current employer, you may be able to continue to defer RMDs from that company’s plan. As long as that’s true, you have no required minimum distributions due until you actually separate from the service of that company or roll the assets into an IRA or Self-Directed IRA. This provision only applies to employer plans like 401(K)s and 403(b)s, but not to IRAs. The IRS also does not allow you to apply this provision to Self-Directed SEP IRAs or Self-Directed SIMPLE IRAs. So, what, precisely, does “still working” mean? Neither Congress nor the IRS has been entirely clear on this point. In theory, one could claim one is still working at a firm even if he or she is only working a single day out of the year. But the cows would tell you that’s a bad mooooove. Why? The IRS prohibits plan members still in the work force from deferring RMDs from their company’s plan if they own 5 percent or more of the business. You can establish a Roth 401(K) and contribute to that instead of a traditional tax-deferred Self-Directed Solo 401(K). But only your contributions are taxed under Roth rules – you still have the same issue with employer contributions, which would still be subject to RMDs. The other option is to sell your company and continue to work there. As long as you do not retain more than a 5 percent ownership interest in the company, and as long as the plan’s documents allow for a still-working exemption, you can continue to defer taxes on it and you will not be required to take RMDs. The other option to avoid being forced to take RMDs is to roll your 401(K) assets over to an IRA, and then convert it to a Self-Directed Roth IRA or Roth conventional IRA. This move does involve a distribution – a large one, normally – which can push you into a higher marginal income tax bracket if you are not careful. You will have to pay income taxes on your Roth conversion. But once that’s done, you can continue to defer taxes on income and capital gains alike until you pull that money out of your Roth IRA or Self-Directed Roth IRA – tax-free. Of course, to qualify for tax-free treatment, that money has to remain in the Roth for at least five years and have reached age 59 ½. So be sure to plan ahead and execute the Roth conversion well before you expect to begin to need the money. If you are like most retirement investors, your accounts— Self-Directed IRAs and Self-Directed Solo 401Ks—make up a large part of your overall savings. Statistically, they make up over a third of all investments in the U.S. After your death, distributions from those accounts will be required, and transferring the assets to your heirs could be a thorny issue if you have not designated your beneficiaries properly. With all these choices, it is not surprising that Self-Directed IRA and Self-Directed Solo 401K owners often make mistakes–some of them are errors of omission–when designating their beneficiaries. These mistakes can be costly to your heirs since they could receive less (possibly nothing), and much of the money you worked a lifetime to save might not end up with the people you love. This mistake is first on the list because it is probably the biggest blunder you can make on your retirement accounts. When you die without designating beneficiaries, those accounts will go through probate, an expensive and time-consuming process. The person who becomes beneficiary might not be someone you would have chosen, and even if they are, they will not be able to stretch the benefits over their lifetime because the account would need to be liquidated within five years. It is not unusual for Self-Directed IRA and Self-Directed Solo 401K owners to designate their spouse as a beneficiary and leave it at that. But what if something happens to both of you. Once again, your accounts would end up in court. It is much better to have designated contingent beneficiaries. If something like that happens, your accounts will avoid probate. Designating a beneficiary will ensure that your assets are transferred properly, but some financial planners advise that you place those assets in trusts to protect them from an ex-spouse or creditors. You can even protect the beneficiary from his or her careless spending habits by using a “spendthrift” restriction on the assets. Trusts are complex. Make sure you have experienced, professional help in setting them up. You can run into potential problems by naming a contingent beneficiary with a short life expectancy. For example, you name your children as beneficiaries. If they die before you, your grandchildren are next in line, and if they should all die, your brother is next. Even though your brother will probably never inherit your assets, he has the shortest life expectancy, and his age will determine how quickly the assets must be withdrawn. It is critical to have an estate attorney look at your designations to avoid potential problems like this. If you have an ex-spouse, here is an unsettling thought: If you neglected to update your beneficiaries after the break-up, guess who’s in line to receive your retirement assets when you die? Do you really want your current spouse to have the hassle of going to court to try to get your assets? You need to check and update your beneficiaries regularly. Some of them might not be alive any longer, and some might not have been born when you last updated them. Make sure your retirement assets are going where you want them to by confirming that your designated beneficiaries are current. Younger beneficiaries can “stretch” mandatory withdrawals over many decades, keeping their assets’ tax-deferred status in place and allowing the account to grow. As mentioned previously, choosing an older beneficiary could reduce the stretch considerably and increases taxes for your heirs as funds are withdrawn sooner and in larger chunks. When estate planners and investment advisors do not work together, the chances that your assets will end up where you hoped they would are reduced quite a bit. It is crucial that you set up your Self-Directed IRA and Self-Directed Solo 401K beneficiaries and work closely with estate planning professionals, so problems can be spotted early enough to take care of them. Is Congress Really Talking About Slashing Contribution Limits to 401ks including the Self-Directed Solo 401k ? No. If they were, it would be big news to many of our clients, who went through the trouble of setting up a Self-Directed Solo 401k for their small businesses or consulting ventures. And there’s some talk in the media about Congressional Republicans pushing to slash allowable contribution limits to around $2,400. House Republicans are considering a plan to sharply reduce the amount of income American workers can save in tax-deferred retirement accounts as part of a broad effort to rewrite the tax code, according to lobbyists, tax consultants and congressional Democrats. Notably absent from the story: Any language that’s actually in a bill on the House floor. More than that, there’s also the notable absence of a single Republican lawmaker that has ever, ever publicly advocated to reduce allowable 401k contributions to that level. Moreover, there’s not even a single named source on record saying that this is what the GOP is floating. It would also put a major dent in the GOP brand, which at least ostensibly seeks to reduce the tax burden on working Americans and businesses. It seems to us that a bunch of wonks at a planning session were looking at potential ways to offset revenue losses from a planned corporate income tax rate cut, and when they keyed in what they’d have to cap the allowable 401k contribution rate at to recoup the revenue loss, the computer spat out a figure close to $2,400. Nobody wanted to do it, but someone in the room ran to the media “on background,” unwilling to put his own name to the story, and the knuckleheads ran with it. Our take: It is exceedingly unlikely that the GOP tax reform bill will contain any large reduction in allowable 401k contributions – at least not without a corresponding increase in contribution limits to alternative investment vehicles like IRAs and self-directed IRAs. Messing with 401ks – the primary retirement savings vehicle of the middle class – would be likely to cause an electoral revolt. The Obama administration had to quickly abandon a push to tax Section 529 plans a few years ago, as the Times notes in their article. There is some legislative risk to those sitting on so-called “jumbo” IRAs, including jumbo self-directed IRAs, with assets above about $5 million. If any tax-advantaged investment account counts as ‘low-hanging fruit’ to revenue-hungry Congressional representatives, it’s those. Naturally, self-directed IRA owners are over-represented among jumbo IRA account owners, because people that are able to amass $5 million or more in IRAs tend to be successful real estate and venture capital or private equity investors. At this point, we don’t see any major legislative risks to the Self-Directed Solo 401k structure, though we’ll be keeping an eye on developments as the Republicans in Congress cobble together their expected proposal for tax reform. The Self-Directed Solo 401k is an amazingly flexible and powerful tool for long-term wealth building. The combination of tax-deferred growth, high payroll deduction/deferred compensation limits and the generous allowance for contributions by the employer make it particularly attractive for those whose businesses are generating substantial free cash flow and income potential. Furthermore, unlike with IRAs, there are no maximum income levels that you must not exceed in order to fully enjoy the tax benefits of the plan. Small business owners and plan participants can contribute to a Self-Directed Solo 401k plan no matter what their income, though with conventional (non-solo) 401(k) plans the contributions of highly-compensated individuals could be limited by “top hat” rules, if rank and file participation in the plan is poor. These provisions typically aren’t anything most solo 401(k) plan owners have to worry about, however, because the only full-time employees in these firms are typically the owner and his or her spouse. A solo 401(k) plan may help you reduce your income tax liability. This is because the law allows you to deduct the entire amount of your contribution each year from your taxable income. This goes both for you personally, as the account owner and plan participant, as well as the business, which can write off contributions to employee pension plans, including 401(k) plans as employee compensation expenses, if they are incorporated. If the business is not incorporated, then you can still make pre-tax contributions by deducting contributions for yourself from your personal income. 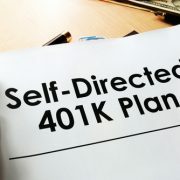 If you want to invest your solo 401(k) results using self-directed strategies that allow for investing directly in alternative asset classes that aren’t normally associated with Wall Street (e.g., gold, precious metals, venture capital, private placements and direct ownership of real estate), then you need to engage the services of a reputable third-party administrator or custodian, such as American IRA, LLC. To get started, visit www.americanira.com and open an account. 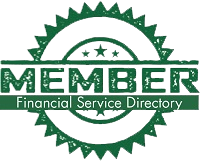 Click on “Self-Directed Accounts), then on Self-Directed Solo 401k plans, and download and complete the Self-directed 401(k) application kit. Why a Self-Directed Solo 401k? Annual contributions up to $54,000 with an additional $6,000 catch-up contribution for those over age 50. Borrow up to $50,000 or 50% of your account value (whichever is less) for any purpose. Loans must be paid back within 5 years. Plan participants may have the option to have checkbook control over their retirement funds. American IRA acts as the record keeper for the Self-Directed Solo 401k plan. A built in Roth provision is included which can be contributed to without any income restrictions. You are the trustee of the plan. American IRA acts as the record keeper. Many of our clients who establish a new Self-Directed Solo 401k for their small business want to fund it by rolling over one or more existing IRA or self-directed IRA accounts into the new solo 401(k). Fortunately this is easily done for pre-tax IRA funds. You simply have to ensure that your 401(k) plan founding documents allow for this provision. This is best done when you’re first drafting your 401(k) plan, whether it’s a solo 401(k) plan or any other small business 401(k) plan. If you’re planning on expanding the business and hiring more employees over time, the solo 401(k) plan may not be the best match for you. The solo 401(k) plan is specifically designed for self-employed individuals and single-owner businesses, including corporations and LLCs, as well as for ‘mom and pop’ businesses owned and operated by couples. You can’t directly fund your pre-tax solo 401(k) with a rollover from a Roth IRA. The tax regimens of both types of accounts makes them incompatible. You may be eligible for a tax credit of up to $500 per year for up to 3 years, just for starting a solo 401(k) plan, SIMPLE or SEP IRA. This tax credit is designed to encourage employers to help their employees provide for their own security in retirement by offsetting the costs of setting up the plan. To claim the credit, fill out IRS Form 8881, or speak to your tax advisor. Independent contractors should take note of the Self-Directed Solo 401k. The 401k is America’s most widely-adopted retirement plan – largely replacing the ever more elusive traditional pension plan as one of the three legs of the American retirement ‘barstool,’ the other two being private savings (including conventional and self-directed IRAs and Roth IRAs) and Social Security. Employers are attracted to the 401k’s high contribution limits and flexibility, as well as its very manageable costs compared to traditional defined benefit pensions, while employees favor the pretax contributions and any employer contributions they may receive. Self-Directed Solo 401ks support self-directed investing. With traditional employer-sponsored 401ks, you are limited to those mutual funds, annuities or guaranteed investment contracts (GICs) that your employer chooses for you. But your employer may be focused more on protecting themselves from liability than on choosing the very best funds available for you – and what gives them the expertise to do so? If you are your own plan sponsor, in contrast, you can invest independently of the Wall Street investment firms that market their investment products to employers. You can pick out your own investments, from individual rental real estate properties to oil & gas opportunities to limited partnerships, LLCs, private equity, venture capital, gold and precious metals and just about anything else you can imagine! The only exceptions are life insurance, collectibles, certain forms of precious metals of questionable or inconsistent purity, jewelry and gemstones and alcoholic beverages. High contribution limits. Participants under age 50 can contribute up to $18,000 in salary deferral to the Self-Directed Solo 401k. But the business can make additional contributions of 20 percent of compensation (for single-member LLCs and sole proprietorships) or 25 percent (for all other businesses) up to a combined maximum of $54,000. That’s nearly ten times higher than the $5,500 limit imposed on IRAs for individuals under age 50. And unlike IRAs, 401ks don’t have an income test for eligibility to make pre-tax contributions. If you’re over age 50, you can make additional contributions to your solo 401k of an additional $6,000 per year. Asset Protection. Assets held 401k plans enjoy near-complete protection from creditors in every state. Even the IRS has trouble cracking open a 401k account, since 401k assets aren’t held in the owner’s name directly, but instead are held in trust for the owner’s benefit. The Self-Directed Solo 401k is a top-notch retirement vehicle for certain small business owners and self-employed individuals and couples. With maximum combined contributions of up to $54,000 in 2017, the flexibility to establish a Roth account within your 401k plan, the ability to engage in self-directed investment strategies such as direct ownership of real estate, and the ability to borrow against your 401k balance if you choose to structure your plan to allow it, the Solo 401k plan is both versatile and powerful. It also has unmatched power as an asset protection vehicle, nearly impervious to creditors. But the Self-Directed Solo 401k plan is not for everybody. There are certain criteria that have to be met even to establish a Solo 401k or make contributions. And it’s not always the best answer for growing companies. You must have self-employment or owner-employee income. That is, you must be able to show income from self-employment, or via your own C corporation, S corporation, partnership, or LLC. You must not have any full-time employees in your company, other than yourself and a spouse. Unlike IRAs, there are no maximum income thresholds or phase-outs that affect your ability to establish a Solo 401k or Self-Directed Solo 401k. The same goes for Roth solo 401ks and self-directed solo Roth 401ks. You can establish and contribute to a Solo 401k no matter how much money you are earning or project to earn. There are limits to how much you can contribute, of course, but simply earning too much will not make you ineligible for the Solo 401k altogether. One advantage to Solo 401ks: You will not find your contributions limited because you can’t convince rank and file employees to contribute enough, thereby triggering “top hat” restrictions on highly-compensated employees. As long as you and your spouse are the only full-time employees in the company, you don’t need to worry about these non-discrimination provisions. You yourself do not have to work full-time in order to enjoy the benefits of participating in a solo 401k. As such, the solo 401k is potentially a great solution for semi-retired persons, as well as those with part-time occupations and practices. Coordination with other retirement plans. You can participate fully in your Self-Directed Solo 401k even if you already have an IRA, or you participate in another retirement plan at another workplace. However, eligibility for IRA contributions could be affected if you do have access to a solo 401k plan. Call us at American IRA, LLC if you have questions: 866-7500-IRA(472). Generally, to maintain eligibility for a solo 401k plan, you can’t have any full-time employees in your business other than yourself and your spouse. However, you can have other employees. Current law exempts employees under age 21, employees who work fewer than 1,000 hours, and non-resident aliens. You can also exempt union employees, who are generally provided for under their collective bargaining agreement. Solo 401k plan sponsors can also have all the part-time employees and independent contractors they want without affecting solo 401k eligibility. Have a 401k from a former employer you need to either cash out or move to another plan soon? Consider your options carefully. The knee-jerk recommendation from many advisors is to roll over a 401k into an IRA or Roth IRA because of the access to a much wider array of mutual funds, stocks, bonds or other securities. But in some circumstances, this isn’t the best advice – especially for investors interested in Self-Directed Solo 401k strategies. Will you want to begin withdrawing the money early? If you’ve left the work force, the 401k allows you to begin withdrawing your money earlier than the IRA – without the need to pay a 10 percent excise tax for early withdrawals. IRAs impose the 10 percent penalty on withdrawals before you turn age 59½. A 401k allows you, in certain circumstances, to begin taking money out penalty free beginning at age 55. IRAs enjoy substantial creditor protection, especially if the IRA is not an inherited asset but was funded using the owner’s own earnings, or the earnings of a spouse, via a spousal IRA. But the IRS can still levy an IRA account, including, potentially, self-directed IRAs, in order to satisfy a tax debt. But 401k plans are different. Assets in a 401k are not held in your name personally, but in a trust on your behalf. This means that they cannot be seized in the event of a bankruptcy or judgment against you. Even the IRA cannot directly levy a 401k account because of a personal debt. The best the IRS – or any other creditor – can do with assets in a 401k is obtain a charging order – authorizing them to intercept income from the 401k when you take money out of the account, similar to a wage garnishment. But you can control when you take a distribution. Few creditors want to wait years or decades for their money, and fewer still plaintiff lawyers want to wait that long to get paid. This is enough to dissuade many creditors or plaintiff’s attorneys, or to convince them to settle a case early on a basis favorable to you. If you are self-employed, or the owner-employee of your own company, and you are interested in owning real estate, it may make sense to roll your old 401k assets into a new Self-Directed Solo 401k you establish for your business. The Self-Directed Solo-401k may be an excellent match for businesses with just one full-time employer, or businesses owned and operated by married couples: In addition to the asset protection benefits, 401k’s are not generally subject to unrelated business income tax. This means your Self-Directed Solo 401k plan can borrow money to invest in real estate (on a non-recourse basis) without generating a tax liability on capital gains or income received from the 401k. Real estate held in a Self-Directed Solo 401k is considered ‘passive income’ by the IRS, and therefore exempt from UBIT. Otherwise, if you simply rolled your old 401k into an IRA and tried to pursue leveraged real estate strategies, you could be forced to pay income tax and capital gains tax on any amounts attributable to the leverage, rather than on your own money. If you are interested in real estate ownership within your 401k, IRA or any other retirement vehicle, or you simply want to go over your options for rolling over a 401k from a prior employer, call American IRA, LLC today at 866-7500-IRA(472). Alternatively, you can visit our website at www.americanira.com, and download hundreds of timely, informative articles, guides, blog posts and e-books about the advantages of self-directed investing. The answer depends on your situation, your goals, and how you plan to use the assets in your account. In most cases, we find the investor is better off with a Self-Directed Solo 401k than a SEP IRA. This is due to the potential for contributions on the employer side (so –called “profit sharing contributions”) and the tax-free loan feature that you can give yourself (and any employees) when you set up your own 401(k) plan. The Self-Directed Solo 401k plan may allow you to reach your annual maximum allowable contribution faster than a SEP IRA: As of 2016, plan participants under age 50 are allowed to make a maximum contribution of $18,000. With a Self-Directed Solo 401k, you also have more flexibility in choosing how your assets are taxed: You can set up a ‘Roth option’ within your 401(k) and enjoy tax free growth on any assets you leave in your Roth account for at least five years. (You will still be liable for any 10 percent taxes on early withdrawals that may apply, though). The combination of employee-side contributions and profit sharing contributions can make a big difference compared to the SEP, which only allows for profit-sharing contributions. No employee-side contributions are allowed. Imagine Dave, a 55-year-old owner of an S-Corporation has no employees. But working on his own in his professional consulting business, he earns $100,000 in ordinary income, in total self-employment wages. Suppose he knows next year he’s going to earn exactly $100,000 in W-2 income. He wants to choose a retirement plan that will allow him to contribute the maximum allowable amount. What plan should he select, a 401(k) plan or a SEP? If he chooses a SEP, he can have his corporation defer a maximum of $25,000 of his income. Unlike with Self-Directed Solo 401k plans, SEPs do not allow for catch-up contributions for those over age 50. So his maximum deferral is limited to 25 percent of his income. If he chose a solo 401(k), David knows he can contribute $49,000 as a salary deferral, as the employee of his own company. But he can also have his company contribute another 25 percent of his compensation, which would work out to a total contribution, including employee contributions and employer contributions, of $59,000. Note: If David owned a sole proprietorship or a single-member LLC, he would only be able to have the company defer 20 percent of his compensation instead of 25 percent, because of the effects of self-employment tax. Furthermore, the Self-Directed Solo 401k also offers him the option of treating some or all of his contributions under Roth tax treatment. The SEP IRA provides no such flexibility. Furthermore, the SEP does not allow for tax-free loans. The 401(k), should David choose, can loan him up to $50,000 tax free, at any time. He has up to 5 years, typically, to pay his 401(k) back. So if your W-2 compensation or self-employment income is well below the 200,000 per year mark, the advantage goes to 401(k)s, as far as the owner or highly-compensated employees are concerned, where the objective is to maximize contributions. The 401(k)’s advantage narrows, however, as income goes up over $200,000 and up. Additionally, the Solo 401(k) may be a better match for those who use self-directed strategies and who want to own leveraged real estate (or leveraged anything else, for that matter) in their self-directed 401(k)s. This is because the 401(k) allows David to escape the unrelated debt-financed taxable income that normally applies to other retirement accounts that purchase assets using non-recourse loans. Whereas if he tried to purchase an investment property for a self-directed SEP IRA and borrowed 50 percent of the purchase price using a non-recourse loan, he would have to pay unrelated debt-financed income tax on 50 percent of any income generated by that property, and on 50 percent of any capital gains when the property is sold. The SEP IRA allows you to make contributions as late as April 15th of the following year, just like an IRA. So if David has a big bonus coming at the end of the year, he may want the extra time. SEP IRAs may help you avoid the necessity of making matching contributions for employees who have not yet worked for you in at least three out of the last five years. If you sponsored a 401(k) and brought on employees, you would have to cover them, and provide the same profit sharing benefits to rank and file employees that you do for yourself. Generally, you would need to grant them to any worker who has worked at least 1000 hours and who has been with you for at least 1 year. Outside of these two advantages, however, the case for the solo 401(k) plan is strong. American IRA, LLC specializes in providing third-party administration services to people who want to take a more personalized approach to their retirement investing via a self-directed 401(k), SEP, SIMPLE IRA, IRA or Roth IRA. We also support self-directed Coverdell Education Savings Accounts and Health Savings Accounts. Our offices are in Charlotte and Asheville, North Carolina, but we work with successful investors nationwide. Want to learn more? Call us today at 866-7500-IRA(472), or visit us at www.americanira.com.